I was once thoroughly scandalized by a massive billboard bearing images of Igbo iconic figures. The billboard stood imposingly at the Abia Tower area of Umuahia, capital city of God’s Own State. On parade on the billboard were illustrious giants – yes, giants in their individual rights and they included: Dr. Nnamdi Azikiwe, Dr. Michael Okpara, Dr. Akanu Ibiam, Chief (Barr.) Sam Mbakwe, Dr. Chuba Okadigbo, and Ezeigbo Gburugburu, Chief Chukwuemeka Odumegwu Ojukwu. On a closer examination, I spotted the image of leadership dwarf called “Chief T.A Orji” and wondered who it was that set out to ridicule and humiliate a man of below-average abilities like that. If you ask me, that billboard mocked T.A Orji in more ways than one; the architect of that mischief ended up putting a manifestly inadequate man up for an unfair comparison. The damage s/he did to whatever that was left of T.A Orji’s image was in my opinion greater than expletives hurled at him by all his political adversaries put together. So, when I heard this morning that a former governor of Abia State, Chief (Dr) (perhaps “Professor) Orji Uzor Kalu, I thought that someone was up again to make another ex-Abia governor dance naked at the market square. Whoever that sold Dr. Kalu the dummy of defecting to All Progressive Party APC) has a very cruel and lethal mind. The person does not mean well for Dr. Kalu at all. An Orji Kalu who has serially been pummeled by a feather-weight called T.A Orji is a political dead horse – this every Abian know! I cannot wait to see how Abia APC would deal with this regrettable, avoidable political liability. I had thought that Dr. Kalu would be smart enough to know that the evening of his career, as a politician, has arrived his doorstep. Ditto T.A Orji. Ditto Owelle Rochas Okorocha. Without mincing words, the trio can only be found in the perfidious company of the like of Dr. Chimaroke Nnamani of a painful political memory. No matter how hard this quartet try, history’s best and kindest description of them would be that they were PSEUDO-LEADERS WITH THE MOST MISERABLE SOULS WHO LEFT THEIR PEOPLE WORSE THAN THEY MET THEM AND ENGRAVED SCARS IN THE HEARTS OF AN INNOCENT LAND! 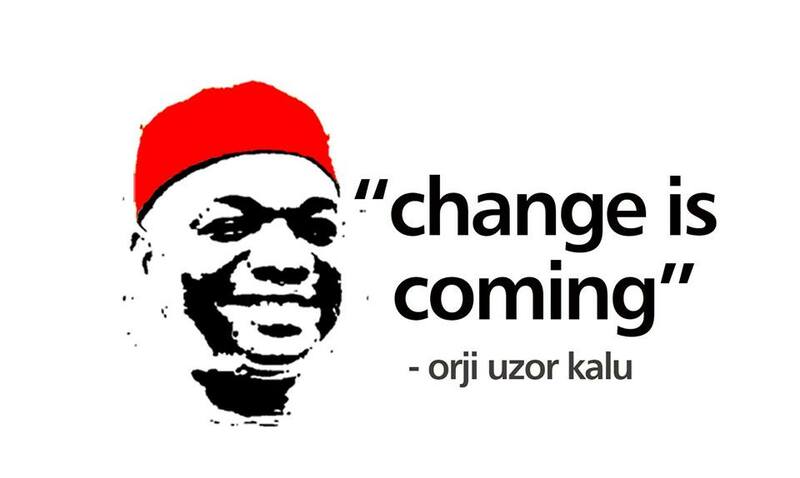 But, mark my word: the Dr. Kalu I know must have made that hasty move to beat T.A Orji to it. Either way, the desperate moves of these political father-and-son to survive President Buhari’s anti-corruption surge will soon make a good tragic-comedy script. Orji Uzor Kalu is clown, I swear!